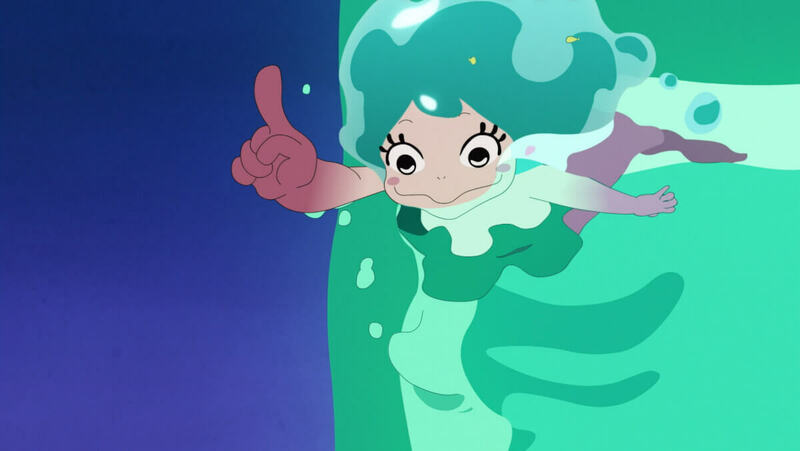 From visionary anime auteur Masaaki Yuasa comes a joyously hallucinogenic but family-friendly take on the classic fairy tale about a little mermaid who comes ashore to join a middle-school rock band and propel them to fame. Kai is talented but adrift, spending his days sulking in a small fishing village after his family moves from Tokyo. His only joy is uploading songs he writes to the internet. When his classmates invite him to play keyboard in their band, their practice sessions bring an unexpected guest: Lu, a young mermaid whose fins turn to feet when she hears the beats, and whose singing causes humans to compulsively dance – whether they want to or not. As Kai spends more time with Lu, he finds he is able to tell her what he is really thinking, and a bond begins to form. But since ancient times, the people in the village have believed that mermaids bring disaster and soon there is trouble between Lu and the townspeople, putting the town in grave danger. 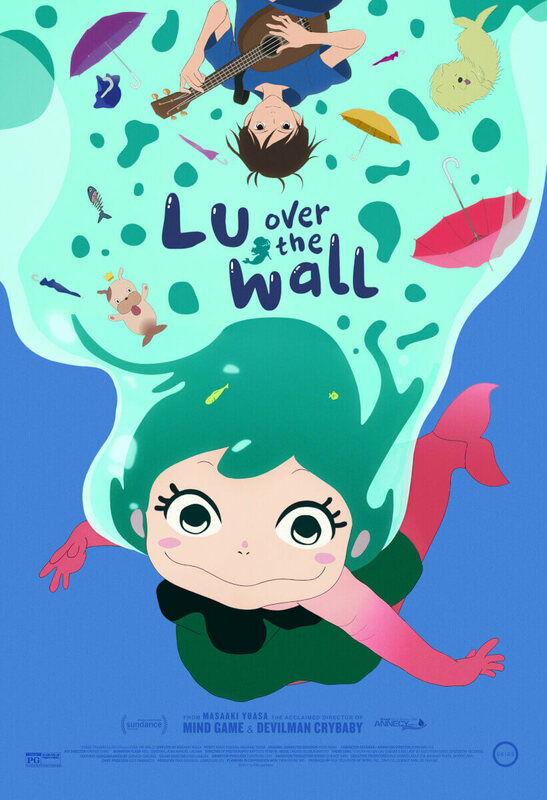 Winner of the Grand Prize at the prestigious Annecy Animation Festival and an official selection of Sundance 2018, Lu Over the Wall is a toe-tapping, feel-good demonstration of Yuasa’s genre-mixing mastery that will leave you humming long after you leave the theater. A limited amount of The Festival Pass is available! The Festival Pass allows them access to all films (excluding the opening night premiere on Friday) and guest talk sessions throughout the festival. Thank you so much for coming to LA-AFF 2018! Sign up to our mailing list for announcements! Copyright © 2018 Los Angeles Anime Film Festival. All rights reserved.